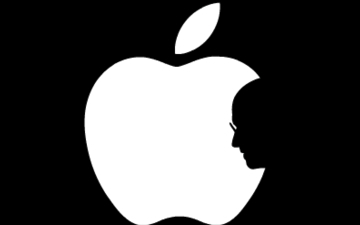 Steve Jobs and me – a shared birthday and then some. This isn’t a unique distinction – roughly 0.25% of the world’s population shares a birthday with Steve Jobs – but one of them is me. Where I grew up in India, no Apple products were to be found – at all. And yet, I was an avid reader of MacWorld. The heroes of the industry were IBM and Microsoft – and yet, I was an Apple fanatic. Or a NeXT fanatic – frankly, whatever Steve was backing at any given time. It’s hard to believe that the first time I touched a real Apple computer was in 1998, when I came to USC to study for my Masters. It was the feeling you get when you discover the love you knew existed, you just hadn’t met them yet. So it was for me with Apple, and with Abha, both relationships I developed while at USC. I still remember going to the Palo Alto Apple Store in 2001 to check out the Titanium PowerBook G4 that had been released then. I asked how I could upgrade the memory – and the Geniuses just lifted the tabs on the keyboard to expose the SDRAM slots. I opened up a Terminal and tried out a few Unix commands – and it was like I was hacking on the Linux box at home. What a fantastic marriage of technology and design! I left that day with my first Apple product under my arms. 2001 was still early days for the new breed of the Mac faithful. I had one of the only two Apple laptops at Inktomi, in a sea of thousands of Windows machines. It’s hard to believe that today – when it seems in Silicon Valley, only people from other parts of the world carry Windows laptops. In fact, when I was returning from India recently, with stopovers at multiple airports, I could estimate how far I was from the Silicon Valley by measuring the density of Apple laptops at the airports. The nearest I came to Steve was in 2005, when I was at the Apple campus, on the floor where all the executives sat. I was being interviewed by Bertrand Serlet for a position managing the Mac OS X productivity apps, but I chose to join Yahoo! instead. I have often wondered if I made the right decision – today more than ever. Like many others, Steve Jobs has inspired my professional journey. It’s only now settling in that I will never, ever be in the same room as my childhood hero. On the personal front, my mother passed away a few weeks back – she was 57. My brother wrote a touching eulogy for her – better than I could ever have. Now Steve – my professional inspiration, has also moved on at the age of 56. These events put one’s life in perspective – I could have fewer years left on the planet then I’ve lived so far – it’s time to make them count. This entry was posted in Posts and tagged apple, faves by amit. Bookmark the permalink.